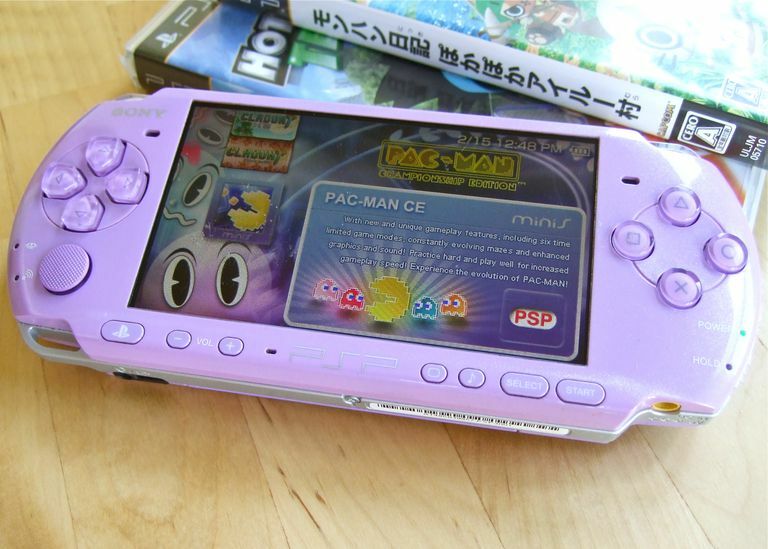 Editor's Note: The PSP is now a legacy system, devoted to only by nostalgia hounds and fans of a bygone era of gaming. In a sense, Sony never supported it, but it's fun to look back and think about what could have been. Sony Computer Entertainment Inc. has announced the product specifications for the handheld video game system, PlayStation Portable (PSP), three-dimensional-CG games incorporating high-quality, full-motion video similar to PlayStation 2 can be played anytime, anywhere with PSP. PSP is scheduled to be launched in Japan in the end of 2004, followed by the North American and European launches in the spring of 2005. PSP comes in a black color, with a 16:9 widescreen TFT LCD centered in a sleek ergonomic design with a high-quality finish that fits comfortably in the hands. The dimensions are 170mm x 74mm x 23mm with a weight of 260g. PSP features a high-quality TFT LCD that displays full color (16.77 million colors) on a 480 x 272 pixel high-resolution screen. It also comes complete with the basic functions of a portable player such as built-in stereo speakers, exterior headphone connector, brightness control and sound mode selection. Keys and controls inherit the same operability of PlayStation and PlayStation 2, familiar to fans all over the world. PSP also comes equipped with diverse input/output connectors such as USB 2.0, and 802.11b (Wi-Fi) wireless LAN, providing connectivity to various devices in the home and to the wireless network outside. The world of gaming is further enhanced by enabling users to enjoy online gaming, or by connecting multiple PSPs to each other, directly via the wireless network. In addition, software and data can be downloaded through a USB or wireless network onto Memory Stick PRO Duo. All of these features can be enjoyed on one single system. PSP adopts a small but high-capacity optical medium UMD (Universal Media Disc), enabling game software, rich with full-motion video and other forms of digital entertainment content, to be stored. The newly developed UMD, the next-generation compact storage media, is only 60mm in diameter but can store up to 1.8GB of digital data. A broad range of digital entertainment content such as music video clips, ​movies, and sports programs can be provided on UMD. To protect this entertainment content, a robust copyright protection system has been developed which utilizes a combination of a unique disc ID, a 128 bit AES encryption keys for the media, and individual ID for each PSP hardware unit.